Add the complete The Patternist series to you Kindle for $4 today. 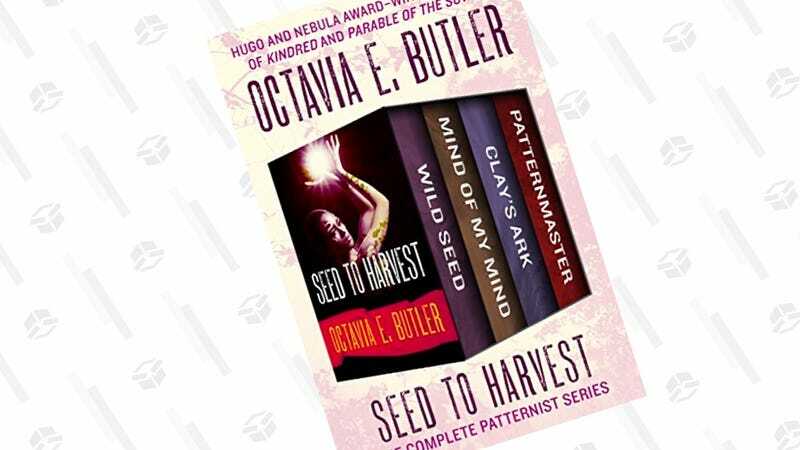 If you’re unfamiliar, this series was written by one of science fiction’s greatest authors, Octavia E. Butler, who also wrote the soon-to-be Netflix show, Dawn, and the must-read Kindred. In these four novels, award-winning author Octavia E. Butler tells the classic story that began her legendary career: a mythic tale of the transformation of civilization. This ebook features an illustrated biography of Octavia E. Butler including rare images from the author’s estate.